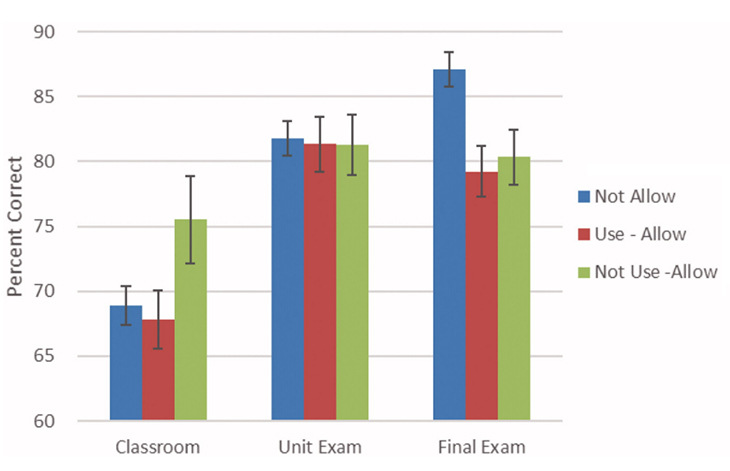 The presence of laptops, too, was found to potentially lower test scores. Between the two devices, there’s just too much room for distraction. Scientists have long studied the effects of divided attention in people, and they know that when someone’s attention is divided between 2 tasks, it’s harder for them to remember items regarding those tasks later on. 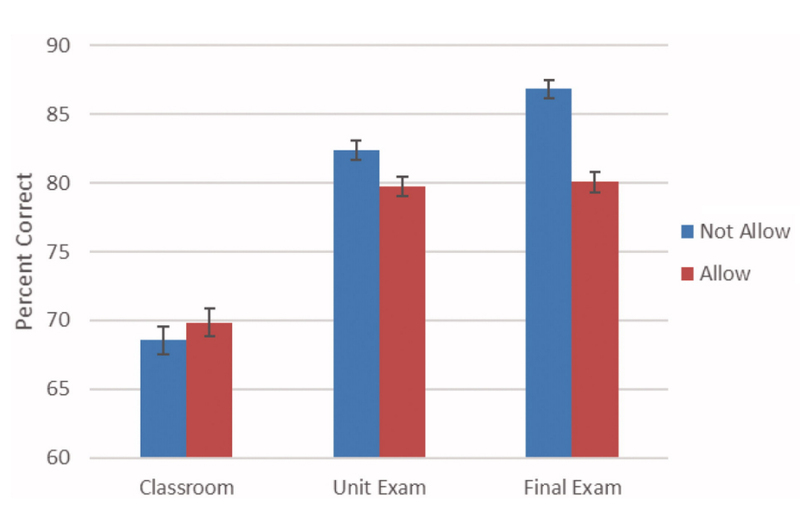 This is known as “retention” in psychology. Glass and his colleague separated 118 college students enrolled in the same course into 2 groups. The professor taught the same material to both groups, but one group was banned from using technology, while the other group was permitted to have cellphones and laptops open for non-academic purposes. The students who were allowed to use electronic devices didn’t score lower on comprehension tests during lectures, but they scored lower on exams at the end of the term. 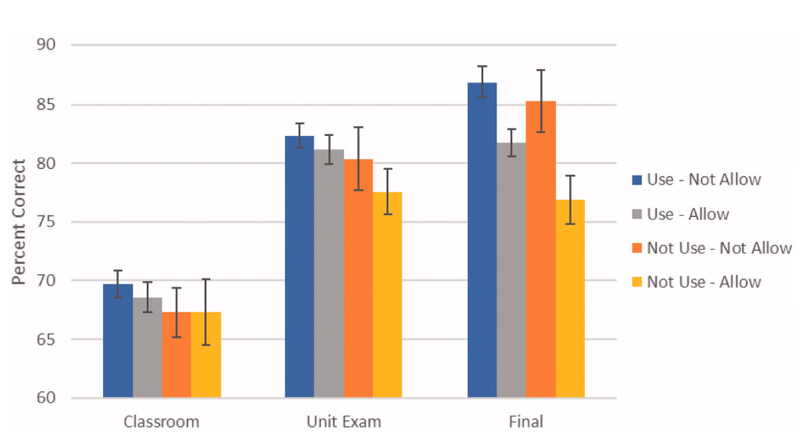 But in an odd twist, the students who didn’t participate in the study but were in the same classroom as the students who were allowed to use electronics also scored lower on exams, even if they weren’t using the devices themselves. Researchers say the presence of the devices was enough to distract them. Truth be told, the finding is just another indication that you don’t have to be using a device to be distracted by it. A 2016 analysis of 20 previous studies found that merely having a smartphone or tablet in a child’s bedroom was enough to disrupt the child’s sleep and make he or she feel groggy the next day. The devices didn’t even have to be in use to subconsciously grab kids’ attention. In 2017, researchers wrote in the Journal of the Association for Consumer Research that just having a smartphone within viewing distance lowers your cognitive capacity and overall brain power. In the study, people who kept their smartphone in another room, in their pocket, or in a bag performed better on tests than people who kept their smartphone within viewing distance. Glass says the study also applies to high school and middle school, as well as workplace meetings.